I love polenta. It’s available locally year round, cooks quickly and is a nice alternative to pasta for you gluten free folks. I paired mine with arrabiata sauce and meatballs, but really the possibilities are endless. You could serve this under grilled chicken or shrimp or you could go vegetarian and top it with roasted veggies. You could even make sweet polenta by simply cooking it in water, then topping it with butter and honey. It’s good, no matter which way you go. 1. Place the chicken stock in a large saucepan and bring to boil. 2. When stock is boiling, reduce the heat to medium-low and slowly pour in the polenta, whisking constantly. 3. When all lumps are dissolved, add the salt and pepper and simmer, stirring frequently and scraping the bottom of the pan as you go. 4. 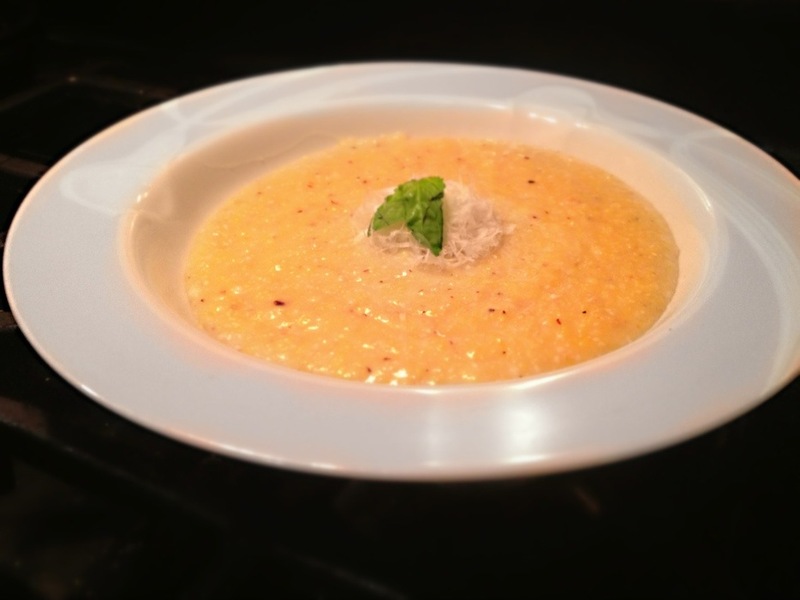 After polenta had thickened – about 10 minutes – remove from heat and stir in the Parmesan and butter; adjust seasonings if needed. Serve hot with Parmesan and parsley sprinkled on top. um yum. might need to make this tonight.